The foreign experience of using once-through heat-recovery steam generators (HRSG) in CCPPs is presented. 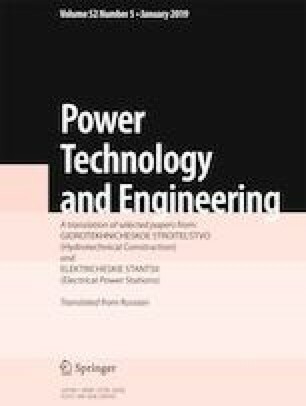 Russian developments of once-through HRSGs of various configurations based on modern gas turbines are considered. Design procedures for ensuring the reliability of the heating surfaces of high- and intermediate-pressure evaporators are developed. Technical requirements for the design of vertical and horizontal once-through HRSGs are formulated. Translated from Élektricheskie Stantsii, No. 8, August 2018, pp. 7 – 11.